Wahoo its time for another Out & About w/ Ken & you are going to loveee this post….take it away Kenny! So one thing that I LA LA LOVE almost as much as travelling is wine! I was lucky enough last year to do both and take a trip up to wine country... beautiful Napa. Wine tasting up there is fabulous and you can learn so much! If you've never been wine tasting before, I highly suggest you go! I honestly believe that wine is good for the soul and would really drink a glass a night if I could... but I hate drinking cheap wine and getting headaches, so that routine would get pretty expensive. Wine is a great addition to any meal (other than breakfast, of course), but many people don't know how to pair it with the right foods. Wine should bring out the flavors in your meals. For some it's a preference in taste, but if you haven't tried these pairings yet, give it a shot and see how delish your foods can be!! 1. The oldest rule in the book is red wine with meats and white with fish. But you can also pair a light red wine, such as a Pinot Noir or even a Merlot with most fish. 2. Pair light-bodied wines with lighter meals and heavier wines with more flavorful dishes. If you drink a heavier wine with a lighter meal, it's going to overpower your food. In the same, a light wine will taste like water next to a heavy meal. Nobody wants a good meal or a good wine to go un-enjoyed! 3. Wine reacts to the tastes of food. So pair your food with a wine that will give the meal a balance. Sweet foods (like teriyaki or honey-glazes) will make your wine taste dry. 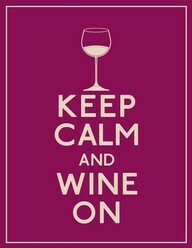 So try a wine that is off-dry and has a little bit of sweet flavor to it, like a Chenin Blanc, White Zinfandel, or Riesling. High-acidic foods (like soy sauce, balsamic vinaigrette, or lemon based) go best with wines that have a little bit more acidity to them, like Sauvignon Blanc, Pinot Grigio, or Pinot Noir. Bitter foods (like bitter greens, olives, and even charbroiled meat) go well with fruity, full flavored wines. Try Chardonnay, Cabernet Sauvignon, and Merlot with these. Grilled steak and lamb chops calm down the bittery wines, so you can pair these with red Zinfandels, and Syrah wines. Desserts, I feel, depend most on your personal tastes. But I LOVE creamy milk chocolate with a good Cabernet. YUMMM! 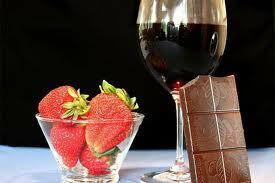 A good tip for dessert wines is that they should be at least as sweet as the dessert you are eating. Sparkling wines also go great with many desserts. I'm a big wine drinker. Loved the blog. I usually drink merlot I need to venture out. I love wine too. I will someday visit Napa and would love to hear your suggestions. AND, I'd enjoy hearing your top 3 whites and reds. :) Off to sip some of my wine. Thank you for your comment on my blog, I am now following you and would love you to follow mine in return! 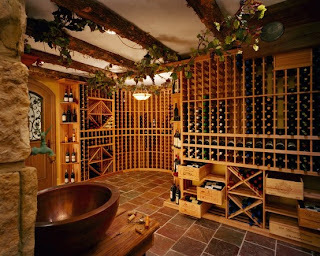 I <3 WINE! SOOOO MUCH!!! want a glass now ;)! Yes! I am such a wine girl. I've always loved it. My fave is Chateau St. Michelle Riesling. It's totally the beer of wines - goes with everything and they carry it in almost every restaurant.